We need a good John Lennon for our show, to work every night for an hour as resident in the same venue. Strong voice and stage attitude needed. We offer 7 shows a week and legal contract all year through, you would get paid every night cash in hand after the show and you wouldn't have to set up gear or travel etc... because we play in the same venue is all set up there. The job is located in Benidorm, Spain so to move here is a must. This is a full time well paid job, only for serious professionals with experience . 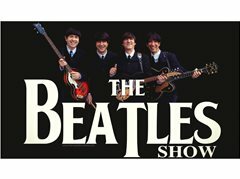 * Please only apply if you are a real Beatles fan and in deep knowledge of their repertoire, all in the original key, tempo and playing and singing like the original, also you will need to look like on stage or as close as possible, suit, wig, guitar etc... THIS IS IMPORTANT: " Just have a look on our website, videos and photos, and what you see there is what we need. " We can get days off when we need and this is a long term job, please don't apply if you can't stay for at least 1 year. If you are looking for a solid good job as a musician, in a fantastic place, working only for 1h a day, having the rest of the day FREE for other stuff, and having so much fun, this is a one in a million serious offer, we are looking fwd to hear from you, Thank you. to start as soon as you learn the repertoire. You need to sing, look and play as close to John Lennon as you can, have a look on our website and that's exactly what we are looking for. get paid every night after each show, also legal contract plus big tours, all year thru !! !